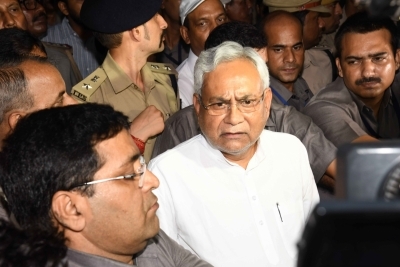 Patna, July 26 (IANS) Welcoming the resignation by Bihar Chief Minister Nitish Kumar, state BJP leader Sushil Kumar Modi on Wednesday said his party was not in favour of mid-term assembly elections. He said a three-member committee had been formed to decide the future political strategy of the Bharatiya Janata Party in the state. “We welcome Nitish Kumar’s resignation on corruption issue. He refused to give into Congress pressure and resigned. 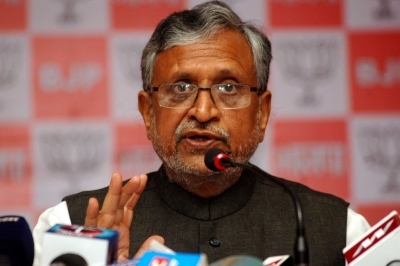 He has not compromised on the issue of corruption,” Sushil Kumar Modi, a former Deputy Chief Minister, told the media here. “People have voted for their MLAs so that they can complete their five-year term. We don’t want mid-term elections in Bihar,” he added. “A three-member committee has been formed. Nityanand Ray, Leader of Opposition Prem Kumar and I have been appointed to talk to party MLAs. After taking into account the party’s decision, the central leadership will be informed. “Whatever decision the central leadership takes, we will work to implement it. The committee will work as a bridge between the state unit and the central leadership. It will work on devising the future political strategy,” he added.